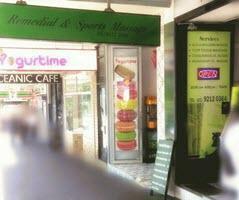 Very popular massage clinic to the east side of Central Station towards Surry Hills. Now new management. Appointments available to 8pm - call or drop in any time of the day, or on the way home from work. Located directly across from Central Station entrance, just up the hill from Woolworths. 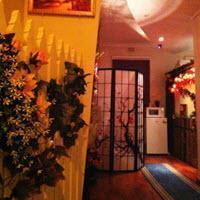 Name: Central Moon Bay Massage Studio (formerly Central Princess (316) Massage). Directions: Just opposite the exit of the east side of Central Station. Cross at Foveaux Street. Close to Woolworths and Seven-Eleven. Hours: Open 7 Days 10am - 8:00pm (Last appointment 8pm) Open late to 2am Thursday - Saturday. Speciality: Everyday, we have 4 or 5 strictly selected and trained masseuses. They come from Japan, Korea, China & Thailand. They specialise in custom made treatments that can rejuvenate the body, mind, and soul, relaxing your stress from tight-schedules and hard work.